We are doing something a little different, why don’t you read the “Points to Ponder” section at the bottom before delving into this post. Promise you won’t be disappointed! The phrase being a “Proverbs 31 women” has been drilled into my head since I was a kid…and probably yours too. I grew up in a great home, with great parents and I was involved in my local church- so, I heard it often and I knew what it meant…sort of. I will be 100 percent honest with you, I thought it was a standard that I couldn’t attain. I was never going to be good enough, I didn’t even understand what the chapter meant. I mean, what does it mean that she “seeks wool and flax, and works with willing hands.” I thought it was an overused way to define women of God and it was the peak that I would never reach. I saw people like my own mother and the women of the church exemplify what it meant, but I felt different. I questioned myself. Will I ever be the woman that is more precious than jewels? Could I ever be a strong tower for my husband? I prayed one day that God would lead me deeper into His Word, that I wouldn’t just read the words on the surface but that I would truly understand them. And then it happened… I had an epiphany. I understood for the first time what it meant to be a Proverbs 31 woman. She does not fear the snow because her house is covered in scarlet. What is scarlet? Well it is a variation of red. What else is red? Blood. They are covered in the blood… WHAT?! They are covered in the Blood of the Lamb. She isn’t afraid because her family trust and believes in Jesus! HUZZAH! And the purple… Purple in olden days signified royalty. Why? Because the dye came from mollusk in a region of the Mediterranean Sea. It took over 9,000 mollusk to make 1 gram of dye… Yes that is… 9,000 mollusk per gram. So you can imagine how expensive that would have been. So expensive that only royalty could afford it. Just to compare: 1 Ounce equals around 28 grams. In a normal bottle of water there are 16.9 ounces of water, so it has a mass of 500 grams. That’s a lot of grams and a lot science. What is a “Proverbs 31 Woman”? She is slow to speak; quick to pray. She loves God and she loves people. Sometimes I can get caught up in being a people pleaser. I want to do everything right and not hurt anyone’s feelings. I often get validation in what people said about me. On the flip side, when someone would say something negative it would send me into a whirlwind of self-conciousness. Can I let you know how silly that is?! I will never do everything right, why? Because I am flawed, but I have a good GOOD Father that never fails me. And I think above everything what a Proverbs 31 woman is, is a woman who trust God in every part of her life. She trusts Him with her finances, marriage, CHILDREN, and she trust Him with her heart. So my prayer is that I trust God with my heart, and that you would too. It is easy to say but it is harder to truly believe it. But I do. No matter what this crazy life brings I will trust God and I will sit at His feet and breathe Him in. He brings me so much peace. His son after all is the Prince of Peace… so therefore that makes Him the King of Peace! So come and sit at the feet of Jesus. Let strive to be women of strength, prayer, and faith. Read Proverbs 31… Yes the whole chapter it isn’t that long. Before reading the chapter pray that God reveals a new understanding to you. It will kind of blow your mind. Then journal what you want to apply to your life. 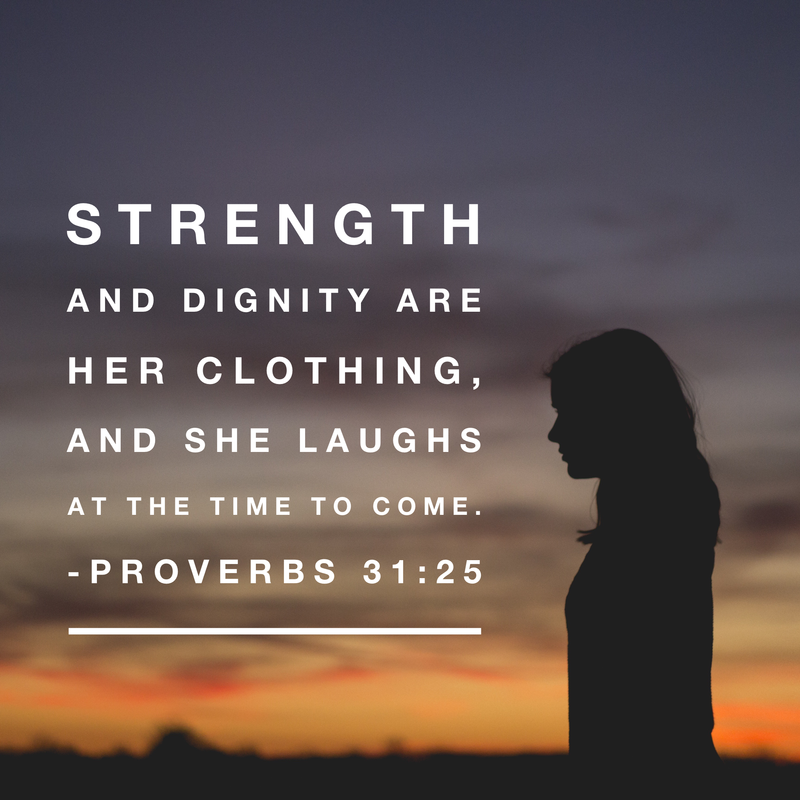 What do you think a Proverbs 31 woman is? And tell us what you think about it! Comments, email, Instagram, and Move Group is a great way to get in contact with us! < Previous He is more than enough for me. Next > Making Much of Him. incredible! this is so encouraging. to anyone reading PLEASE do the ‘points to ponder’ section first. It does make the post resonate even better. Keep up the great work ladies. You guys are awesome! This is just what I needed — Thank You. My flaws include hopelessly and painfully pressing myself into the standards of this world, seeing myself out of standard, that is. For the past couple of months, I have often asked God the grace to see myself in His eyes. For I know, in His eyes I am His daughter clothed in purple, covered with His blood and strengthened to be kind and just and full of wisdom. I know this prayer will also prepare me for the duty of being a wife and a mother someday but for now, I am blessed to know how precious I am and how wonderful His plans are going to be for me. Esteeming spiritual beauty above physical appearance. hi this is a great website that you’ve, thank u 4 sharing it with us. Reblogged this on My Heart Speaks.